Commercial Property Executive is the leading integrated resource for executives and companies that own, invest in, develop, lease and/or manage commercial real estate. With an emphasis on executive profiles and industry and economic data, Commercial Property Executive also includes reports covering finance, sustainability, technology, property management, education and legal and regulatory issues. Including in this coverage are all major property types and business areas, spanning the United States as well as foreign investment in the country and investment by U.S. entities overseas. CPExecutive.com delivers timely, in-depth and authoritative analysis of industry news, as well as access to thought leaders’ best practice strategies and proven business solutions through written, audio and video presentations. CPE e-newsletters offer weekly roundups of critical news analysis and biweekly coverage of capital markets areas including investment, finance, REITs and net lease. 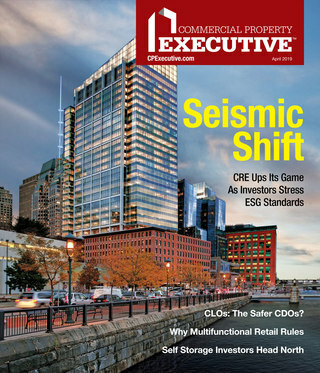 CPE‘s editorial team complements journalistic experience with well-developed relationships with industry experts to provide news and information on the people and dollars behind the deals across the commercial real estate world. 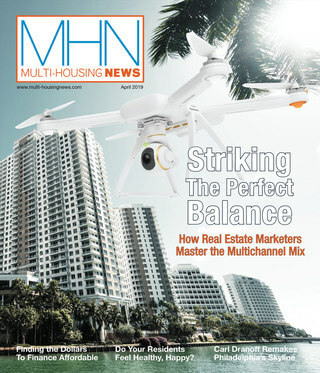 Every business day, more top commercial real estate professionals turn to the Web for news, research and information. CPExecutive.com offers creative and flexible advertising programs to suit specific budgets and marketing needs. Advertising opportunities range from banners to more contextually relevant pieces. Whatever your product or marketing strategy, we offer numerous ways to connect your message with our users, commercial real estate professionals. Each banner position can rotate up to five ads. Ad rotation is random but equal, so each sponsor receives the same percentage of views. Each ad can be easily tracked for impressions and click-through rates. Plus, you can submit more than one ad at a time. You can rotate different ads within your purchased position, or you can switch out your creative month to month — all at no additional cost. Your campaign stays fresh and dynamic!We accept Rich Media ads on a case-by-case basis. Creative must be received at least five business days in advance of start date. Send all materials to Rich Davis at Rich.Davis@Yardi.com. File formats accepted: GIFs, animated GIFs, JPEG files, third-party redirects. Many formats and options to choose from! Your special creative will be sent to all of the CPE audience or target a key sector.